The first pipeline of the ambitious Nord Stream project is complete and ready to be filled with technical gas. The final and symbolic “golden joint” of the pipe has been welded in the Russian city of Vyborg in the Leningrad Region. Most of the joints along the 1,220-kilometer-long gas pipeline were welded with special robotic equipment, but the “golden weld” has been made manually. It connects two sections of the pipe – ground and submerged – and signed Russia and Europe respectively, to indicate whose gas runs through the pipe and where it is destined. Russian gas giant Gazprom, the major shareholder in the project, recently stated that the gas pumping units of the first pipeline of the Nord Stream project underwent final on-load exercises and the pipe is ready for gas filling, which is scheduled for September. 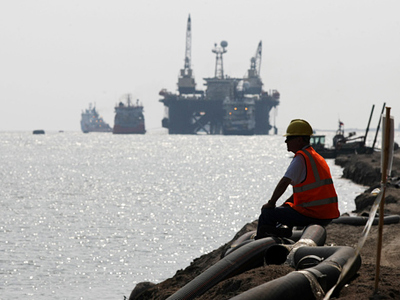 Technically, as soon as the pipe is filled with gas it will be ready to make export supplies. However, the launch of the first pipeline, with a capacity of 27.5 billion cubic meters of gas per year, is scheduled for October. 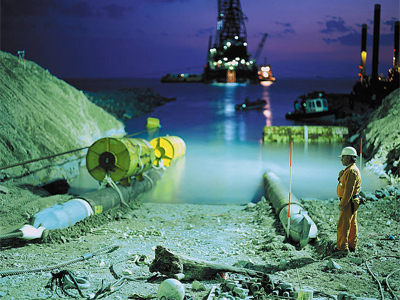 The second pipeline is expected to be launched in autumn 2012, and will increase the capacity of Nord Stream to 55 billion cubic meters per year. 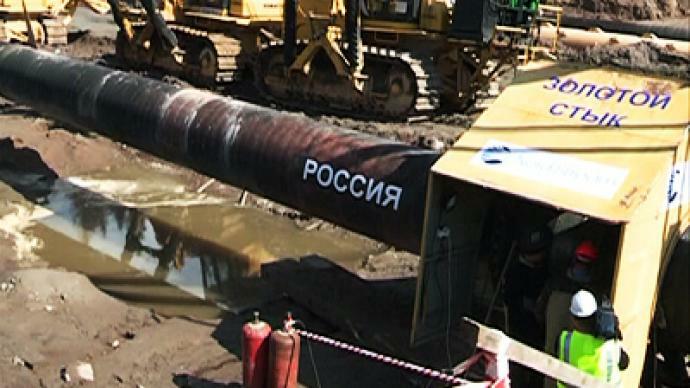 In July, Russian Prime Minister Vladimir Putin also mentioned the possibility of building a third pipe for the project. The 1,220-kilometer-long Nord Stream gas pipeline will open a new route for Russian gas exports to Europe that will pass through the Baltic Sea from the Russian city of Vyborg to Germany’s Greifswald. Gazprom has already signed long-term gas supply contracts with several EU countries, including Germany, Denmark, the Netherlands, Belgium, France and the UK. The Nord Stream pipeline is going to be unique in many ways. 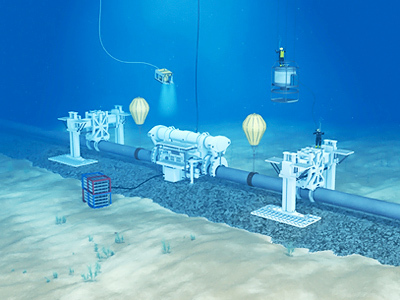 It will be the world’s longest and thickest underwater gas pipe, and will operate under the most pressure as well. 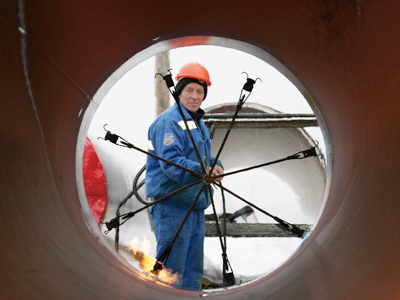 The four-centimeter-thick pipes for Nord Stream are custom-made to withstand extreme conditions, including temperatures as low as -50 degrees Celsius. The gas will be pumped by the world’s most powerful compressor station, which will allow for avoiding using additional stations along the route under the Baltic Sea. The Nord Stream project faced a lot of objections on its way to realization, including those from environmentalists from Finland and Sweden, the territorial waters of which the pipeline goes through, and political objections, as there were concerns that the Nord Stream will deepen Europe’s dependence on Russia’s hydrocarbons. But the instability in the Middle East and North Africa clearly showed that Europe needs Russian gas more than ever.